There are very complex ways of saving sensor data from Arduino to a text file. Also there are easy program. There was time when Mac were run with user created programs. Roger Meier’s Freeware site has such own created programs. Download the “CoolTerm” program. Extract it. Double click on the CoolTerm application to launch. Click on Connection, then go to Options and then in Serial Port Options select the Port you will use. It is easy with Arduino IDE. On the Arduino IDE you’ll see the type of board and the numerical value of COM port. We usually use 9600 baudrate, so set baudrate to 9600 and in your Arduino, include the Serial.begin(9600); (like you normally do for watching various sensor data on Arduino’s serial monitor). 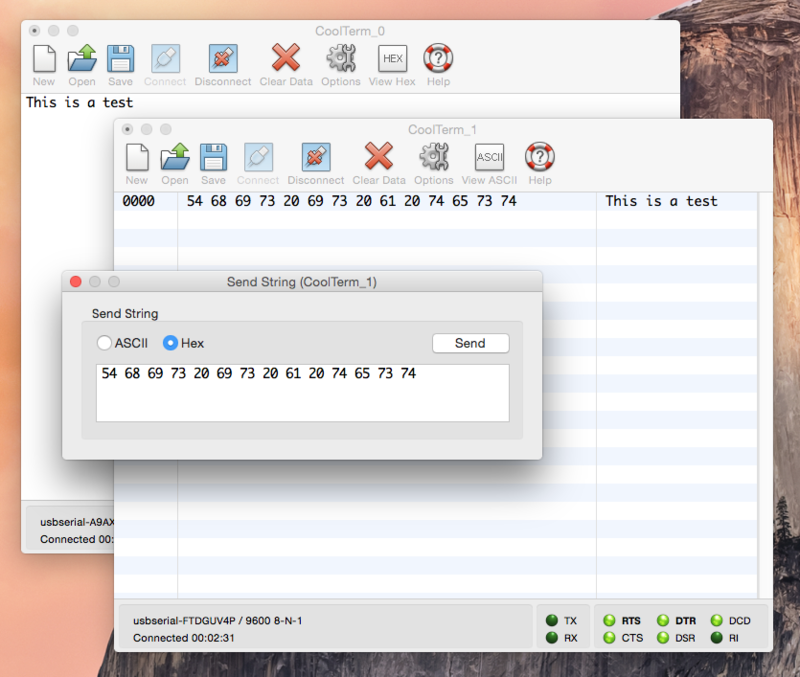 In CoolTerm program, go to Connection > Options > Receive and tick mark the “Add timestamps to received data” option. CoolTerm program has connect and disconnect options. To have any serial data from Arduino, click Connection > Capture to Text File and click on Start. This much work needed to setup the datalogger. This the easy way. What is Difficult Way Data From Arduino To a Text File? // library functions will not work. I do not use any more ways. I mean, you should not need more ways! This Article Has Been Shared 290 Times! Multiplexing, Charlieplexing decreases pin count in a cluster of LEDs.Here is Basic Theory on Multiplexing vs. Charlieplexing & Arduino code. Here is How To Convert LCD Display to LCD Serial Display For Arduino. You Can Convert Your Existing LCD to Serial With a Simple Module or By Using Components. Working With ESP8266 Not Exactly Just Easy. Here is Circuit Diagram, Code to Setup Arduino WiFi Control of LED From Web Browser to Help New Users. Here is a List of IC Which Are Commonly Used With Arduino With Function in Brief. The intention is to buy few of them to keep DIY stock supply handy. Is Learning 8051 Microcontroller Needed Despite Having Arduino? Is Learning 8051 Microcontroller Needed Despite Having Arduino? Depends on Who Are You! If You Need to Job, Yes. Itself 8051 is actually older & easy than Atmega. Cite this article as: Abhishek Ghosh, "How To Save Sensor Data From Arduino To a Text File," in The Customize Windows, December 7, 2018, April 25, 2019, https://thecustomizewindows.com/2018/12/how-to-save-sensor-data-from-arduino-to-a-text-file/.